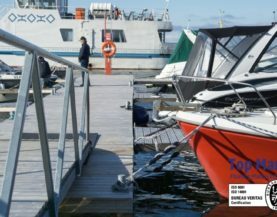 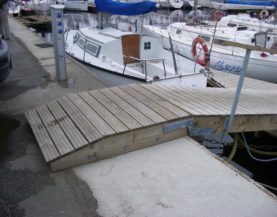 The gangway has to ensure that it is comfortable to board the boat even when the water level changes. 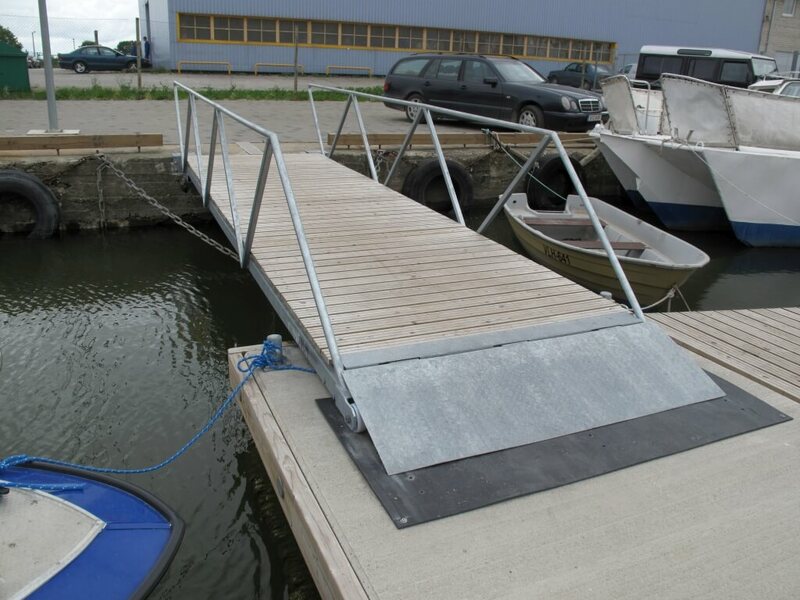 Gangways are available with both wooden and metal constructions. 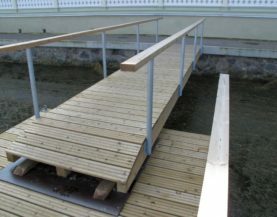 The standard lengths of the wooden gangways are: 1 m, 1.2 m and 1.5 m. Standard lengths are 3–6 meters. 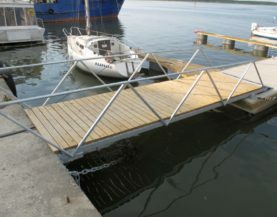 The standard widths of the metal gangways are: 1.2 m and 1.8 m. Standard lengths are 6–12 meters. 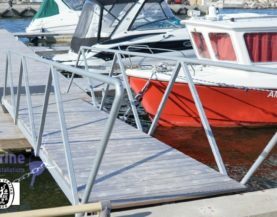 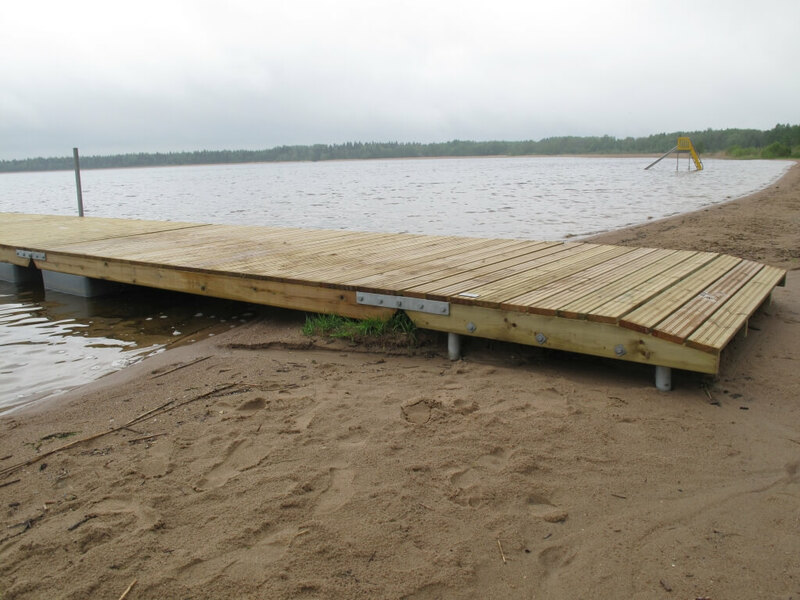 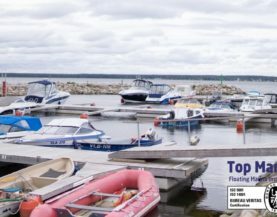 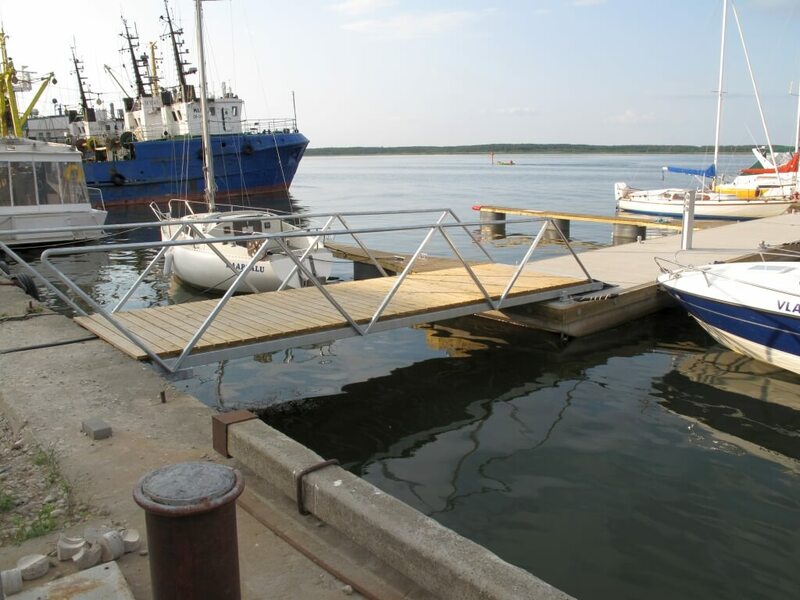 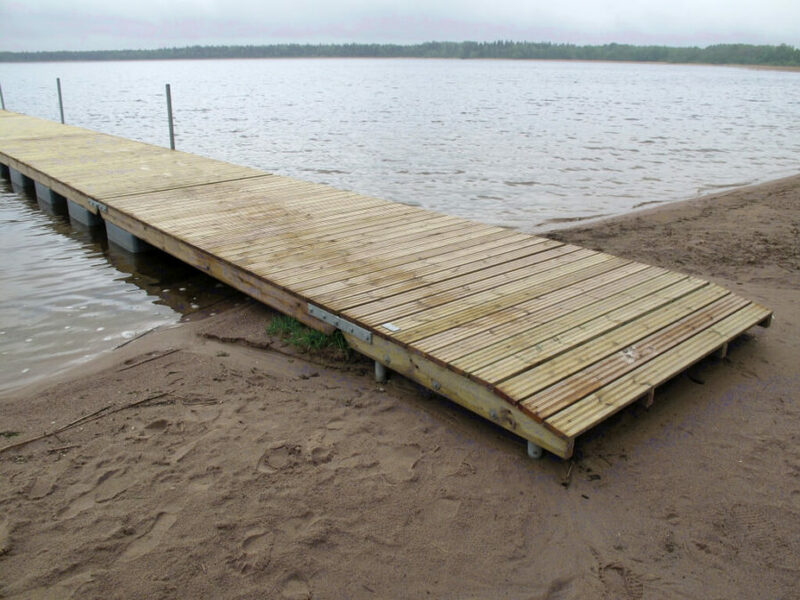 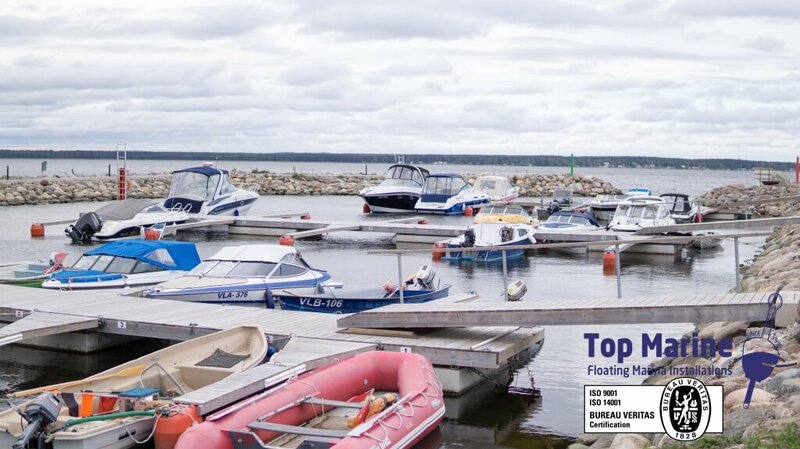 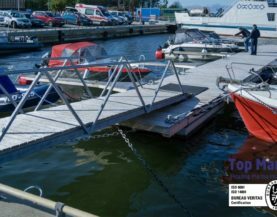 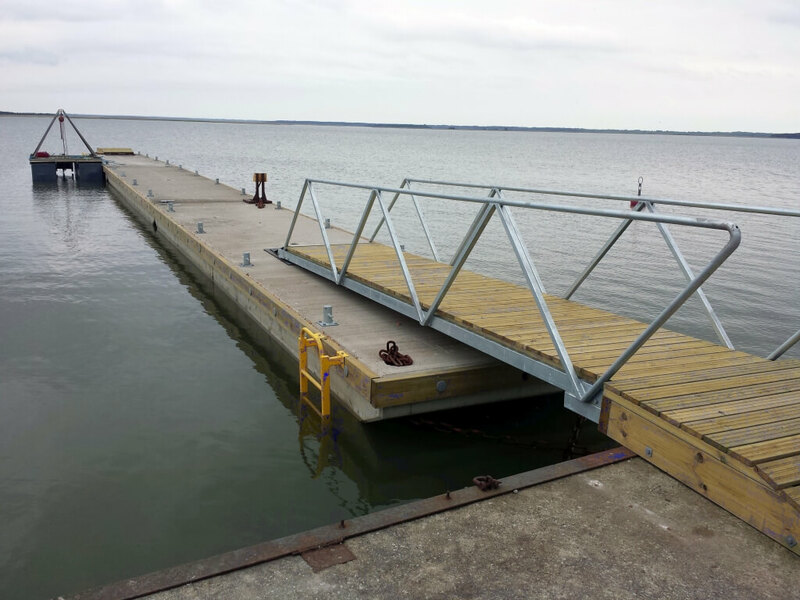 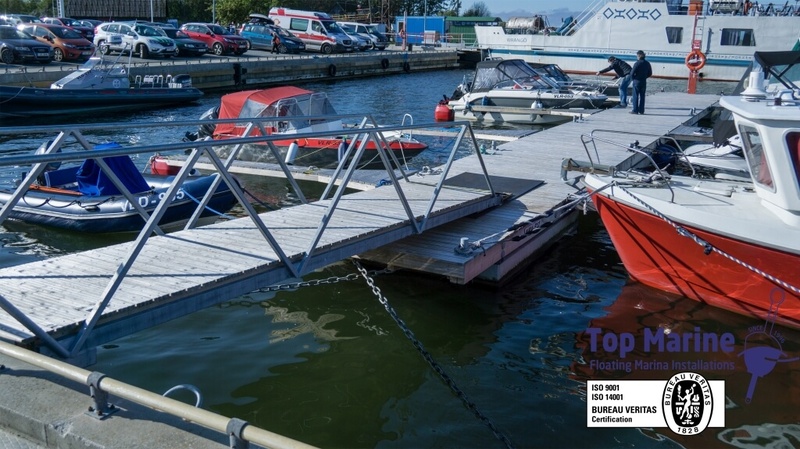 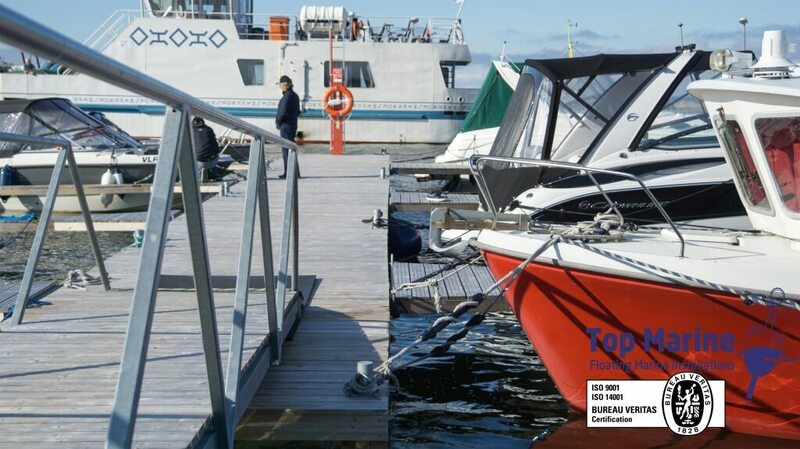 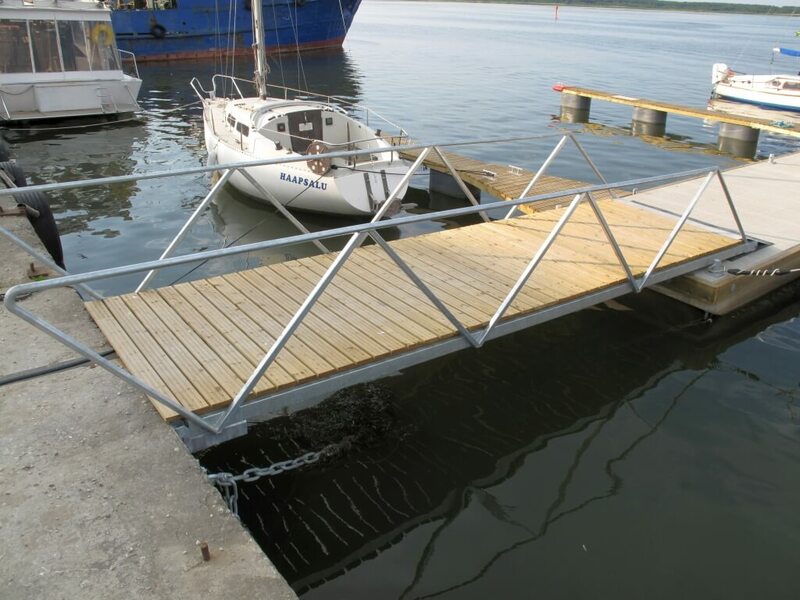 We have made things easy for you: you only need to choose the floating pontoon and tell us how far from the beach you want to install it, and our engineers add a gangway with the suitable length and design to the package. 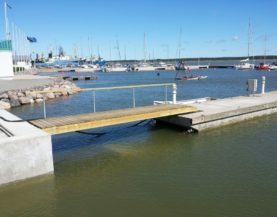 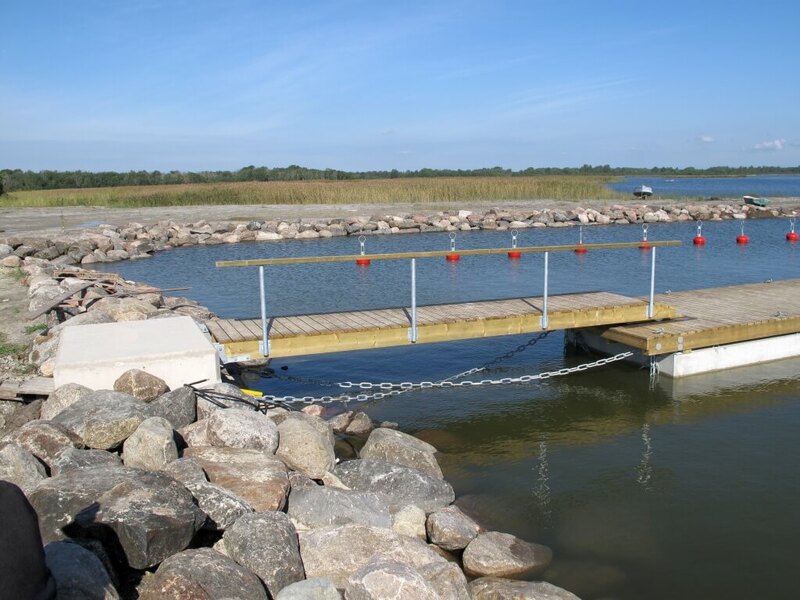 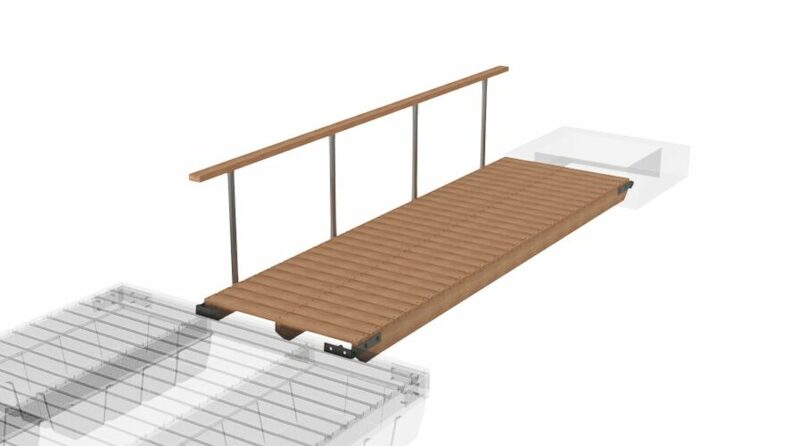 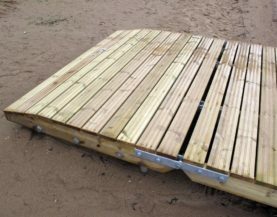 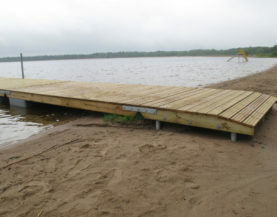 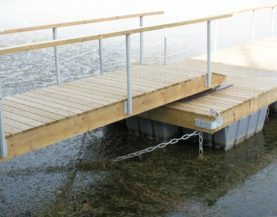 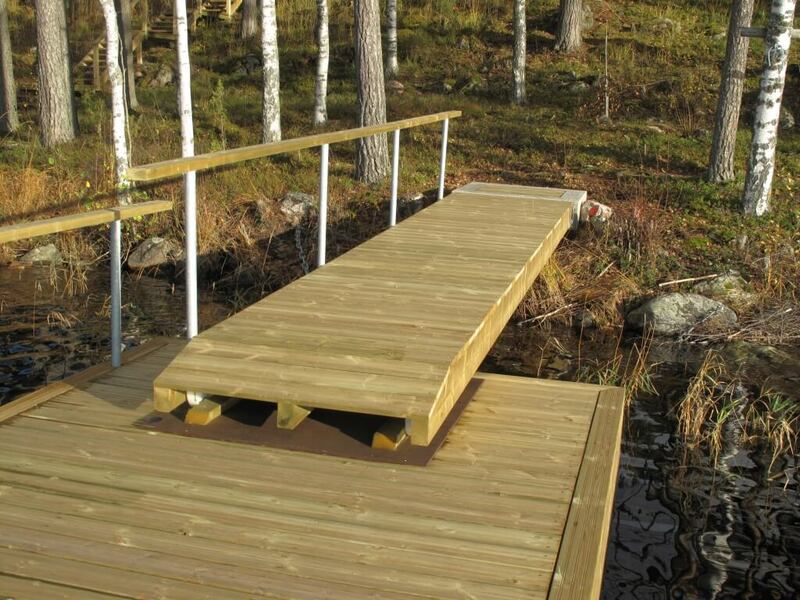 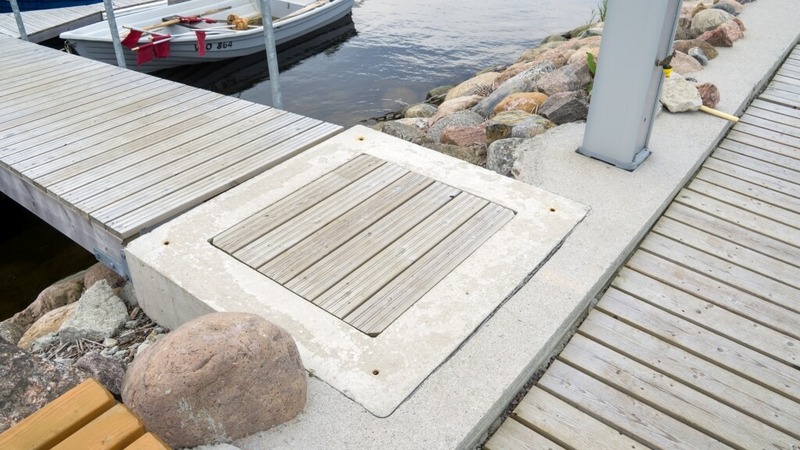 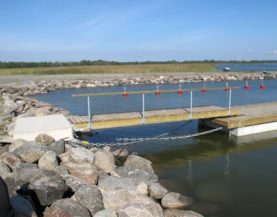 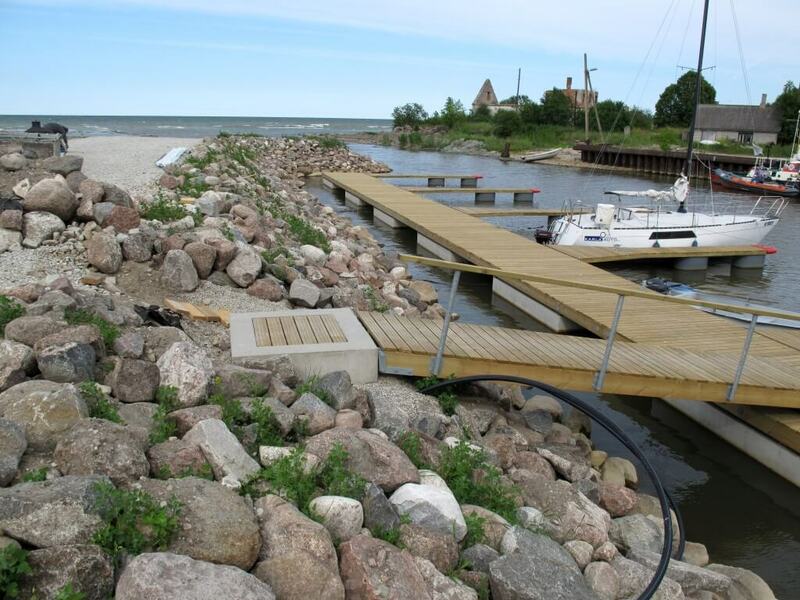 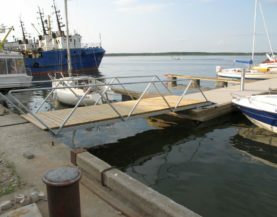 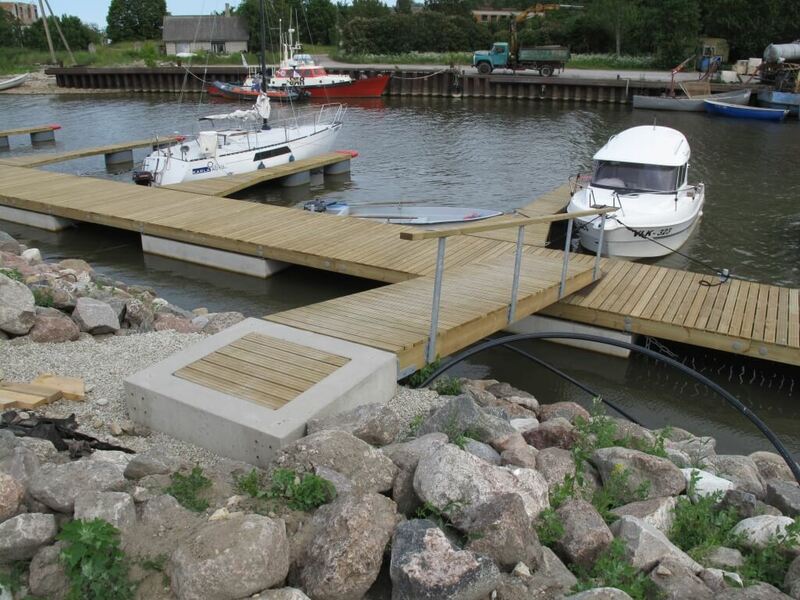 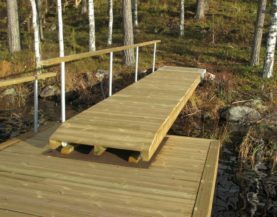 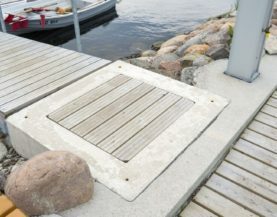 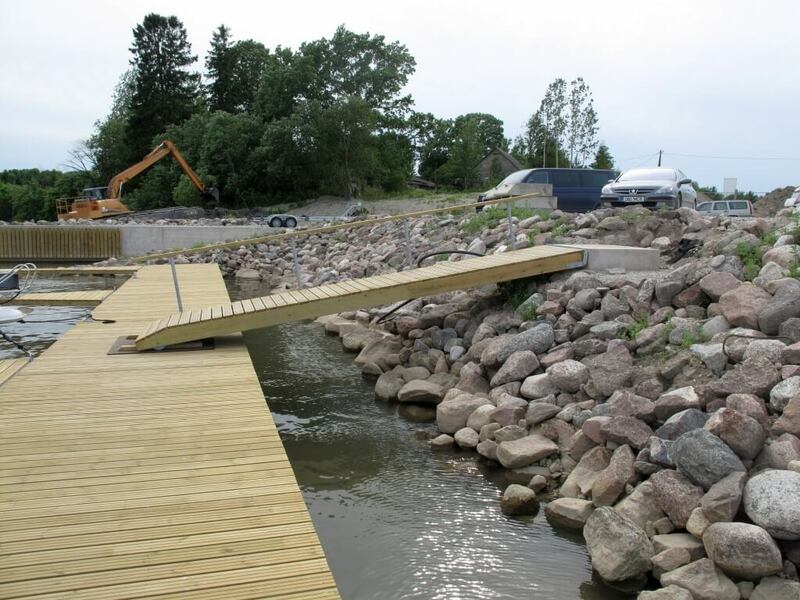 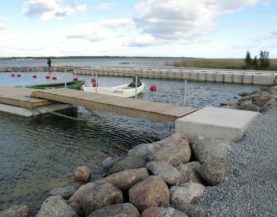 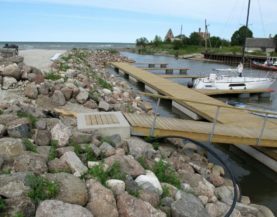 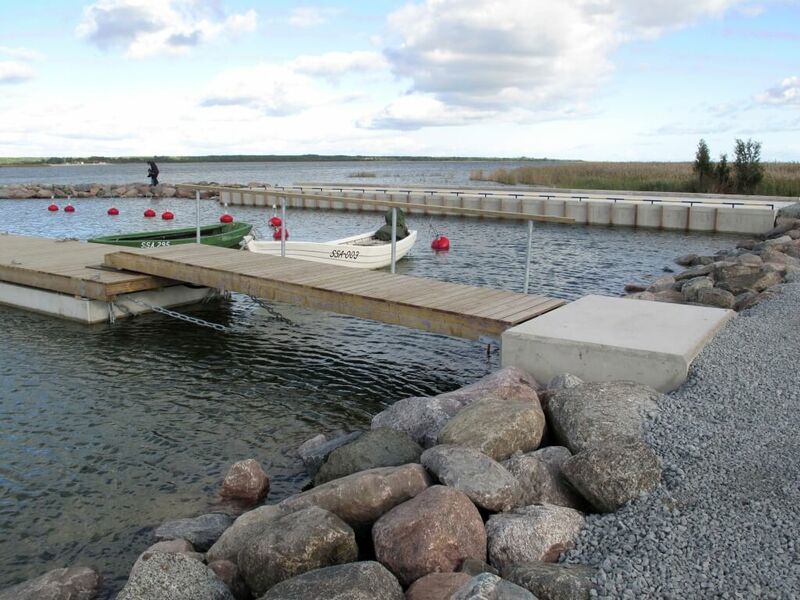 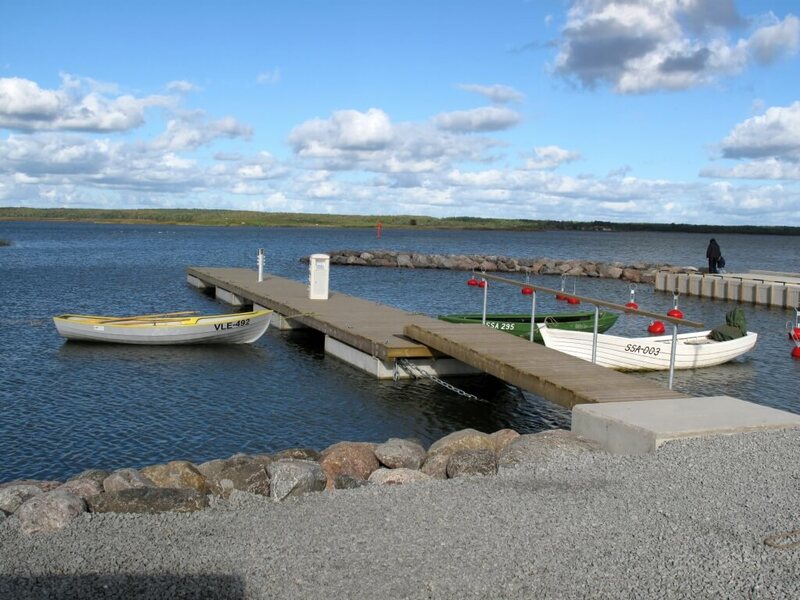 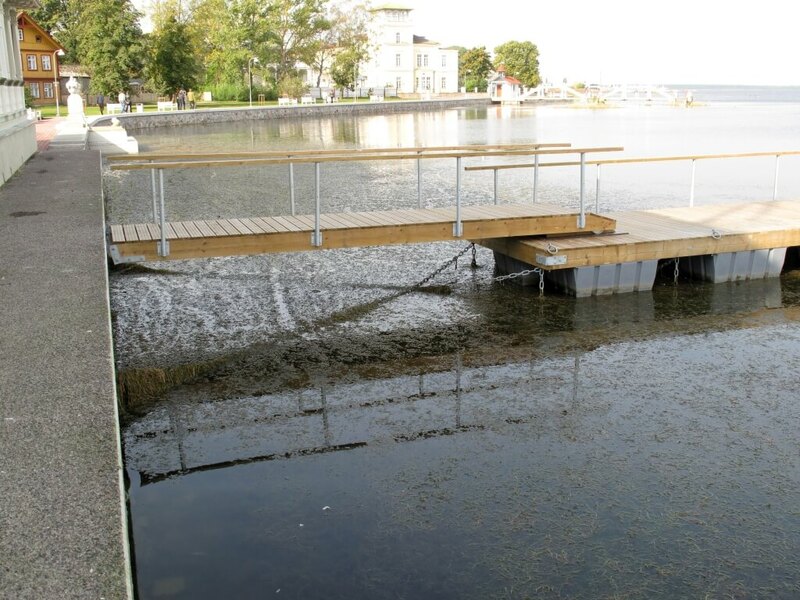 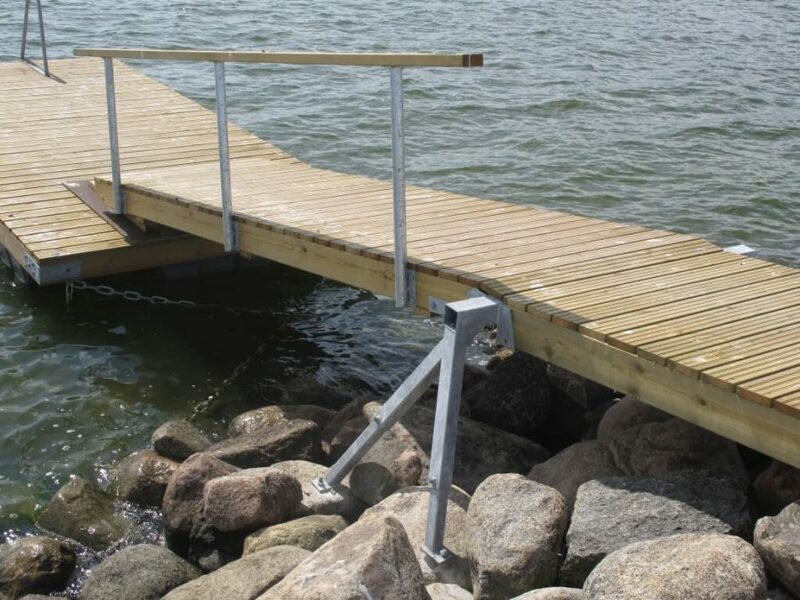 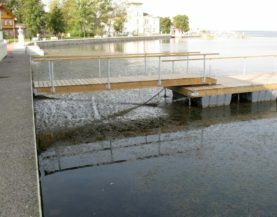 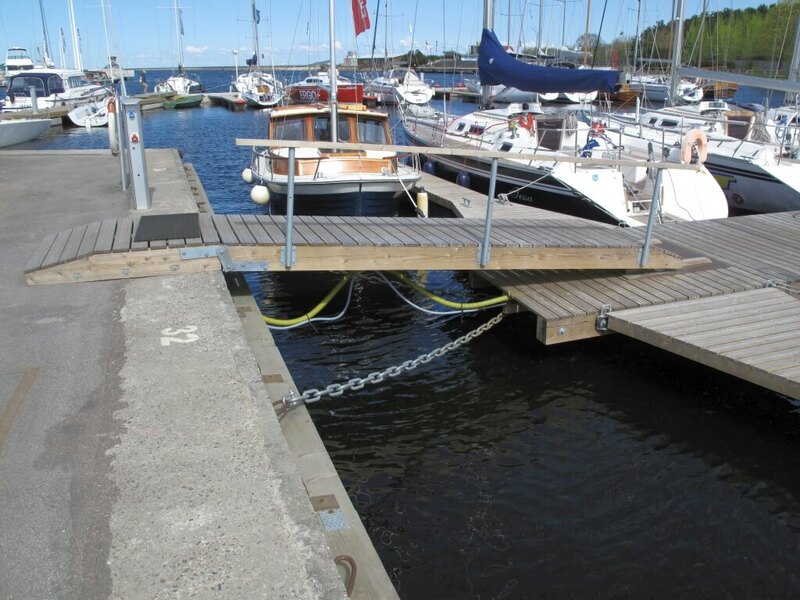 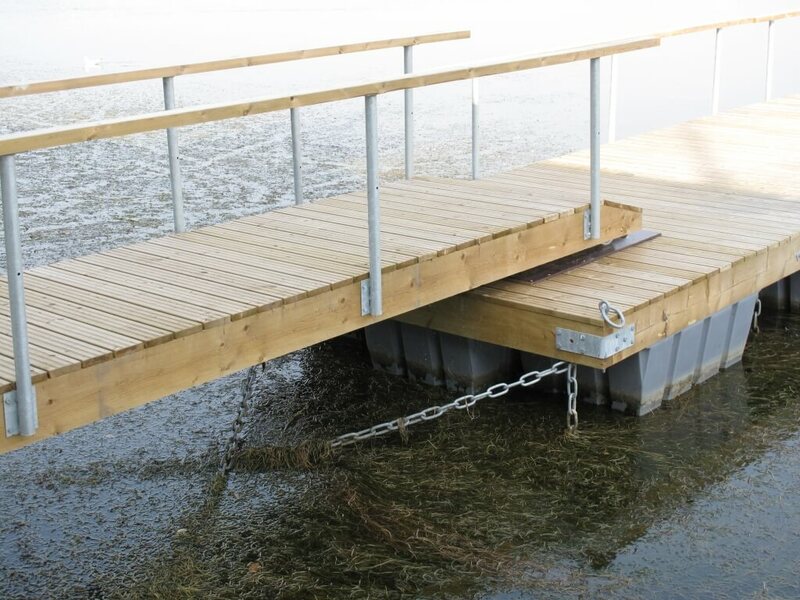 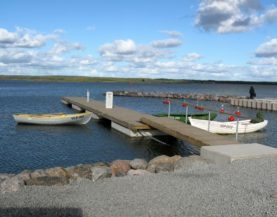 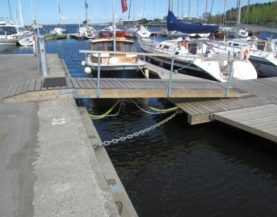 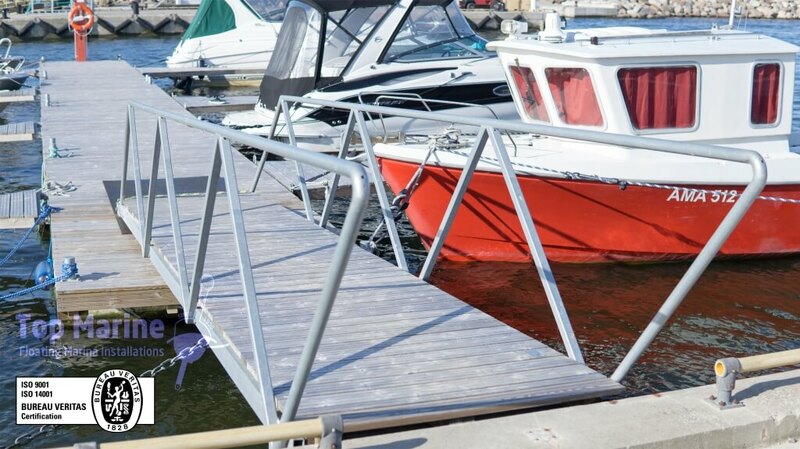 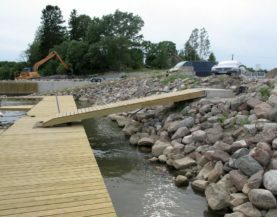 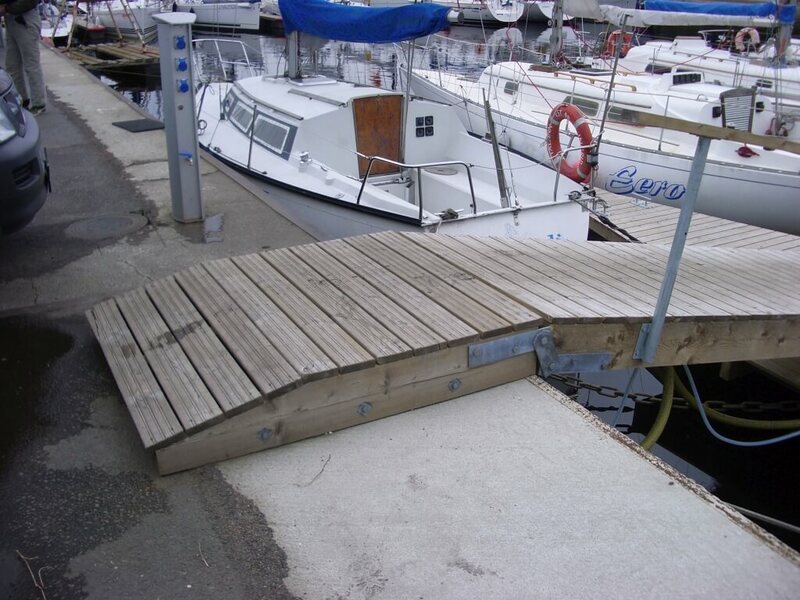 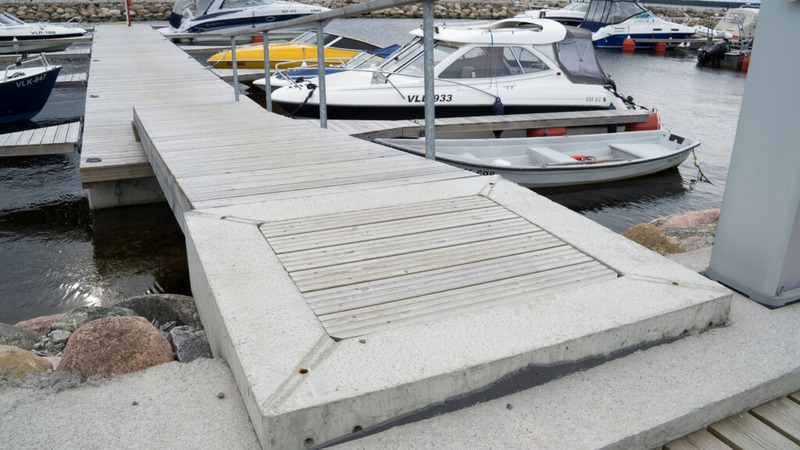 You can give your pontoon a unique look with a wooden arch bridge that has a standard length of 4 m.
The abutment is selected according to the type of soil and its task is to fix the gangway to the ground. 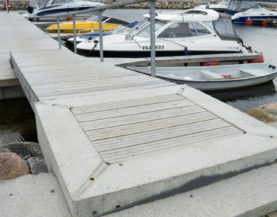 The standard width of the abutment is 1.2 m and 1.5 m.
To increase safety, it is good to add railings to the gangway, which also adds uniqueness.